"Yanagisawa, Y. 1994 . Mediaria magna Yanagisawa, sp. 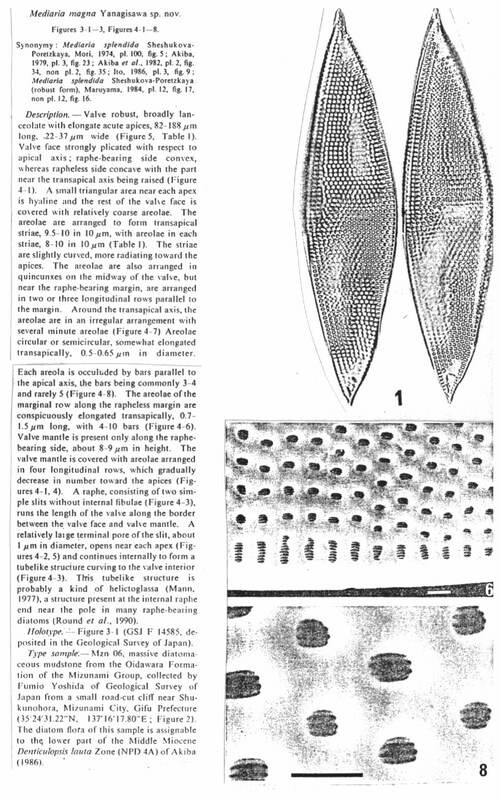 nov., a new fossil raphid diatom species useful for Middle Miocene diatom biostratigraphy. 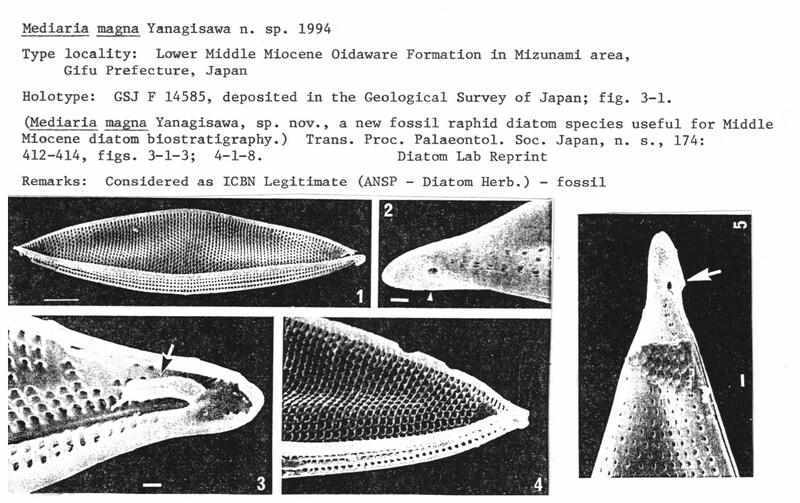 Transactions and Proceedings of the Palaeontological Society of Japan, new series 174:411-425."